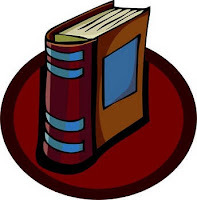 Back in November, I started writing "Ambush in Barlette" as part of the November novel thing. I cranked out eleven chapters that month and then continued with one in December and one in January. Lately, I've had a couple people ask me when the next installment is coming and I have to say that it's not likely to be any time soon. The first reason for this is that CLE season has started. This year I will be teaching two separate CLE sections (three hours) myself and be participating in a third. Two of these involve the changes in criminal case law and one is about the new criminal criminal laws passed by the General Assembly. In order to do this, I have spent a lot of time summarizing case law and will do the same for the new statutes once the legislative process has gone far enough that it makes sense (the first few months other are entirely too many bills that are buried in committee). Consequently, work on the novel has waned, although I do try to do a little work on it every day. The second is that I am not writing linearly at this time. I started with a very basic outline back in November; it had all of eight lines. I wrote from that point until I got to appoint that a something more was needed. A little stymied, I watched a some YouTube videos about how to write a novel and got a few ideas. I sat down and wrote out a more substantial outline, although it is still informal and less than two pages long. I also started working on the end of the novel so that I'd have exactly what I am working toward nailed down. So far, I have written the epilogue and I shall start on the climactic scene soon. Somehow, I don't think that most people would appreciate being told how everything ended before they've read the earlier chapters. When I get back to the point of writing chapter 14 I'll post it. It may just take me a while to get there. The future: If I ever finish Ambush, I realize that it will need at least a couple passes through retuning it. Maybe then I might do something as foolhardy as submit it to a publisher. Who knows if I'll ever get that far, but I see Ambush as the first book in a trilogy. The second book would be Death to Us All and the third would be Last Man Standing. "You're in a larceny trial and the Commonwealth has finished presenting its evidence. The defense makes a motion to strike the evidence because the Commonwealth must prove his client was wearing a blue shirt in order to prove larceny. The judge agrees that the blue shirt element must be proven and the Commonwealth has not proven it. Therefore, the judge dismisses the charge. Clearly, there is no 'blue shirt' element to the crime of larceny. 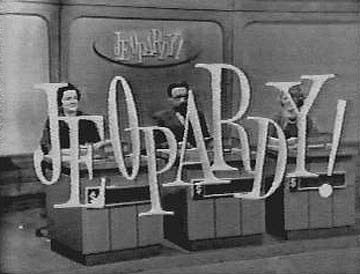 Has jeopardy attached?" He looks at me for a couple seconds, obviously trying to figure out if it's a trick question. "Jeopardy attaches as soon as the trial starts." Me: "Congratulations, you've now proven yourself smarter than the Michigan Supreme Court." It's a simple answer to a simple question which some very smart people worked very hard to make complicated. A couple of days back, in Evans v. Michigan, the United States Supreme Court chose simplicity over complexity. In Evans, the defense attorney alleged that an element to a crime existed and must be proven by the prosecution. The judge agreed the element must be proven and had not. He then entered a directed order of acquittal. The judge was wrong and the element he ordered acquittal over was not a part of the crime alleged. On appeal, the Michigan Supreme Court overturned the judge, ruled that jeopardy had not attached, and remanded for a retrial. The argument which won the day in the Michigan Supreme Court goes something like this: When there is a procedural error, a person can be retried (generally mistrials). When the judge added a nonexistent element to the crime and based his decision to acquit solely on the nonexistent element that judge committed a procedural error. None of the actual elements of the crime had been resolved and therefore the defendant had not been put again in jeopardy and could be retried. The U.S. Supreme Court's answer to this? We have already made it clear that when a judge acquits because he misreads or misapplies a criminal law jeopardy attaches and adding an element is misreading or misapplying a criminal law. Therefore, jeopardy attached. Apparently, the Michigan Court's line of reasoning had been adopted in several different jurisdictions. To be fair, it's not a bad bit of reasoning. It's an end around and runs contrary to my instinctual understanding of Double Jeopardy, but there are plenty of areas in the law where that occurs. This is one of those situations we find every so often where either answer could be correct and we just need someone to make the final decision. Personally, I think the US Supreme Court got it right. The result would be the same in Virginia. It seems that in most States when a jury trial is in progress the motion made by the defense after the presentation of the prosecution's evidence is for a "directed acquittal" based on a failure of some sort by the prosecution. However, in Virginia the motion made at that point is a "motion to strike the evidence." A motion to strike at mid-trial is a motion for the judge to exclude all the evidence presented and dismiss the case without jury consideration. The motion is a mixture of common law and Rules of the Virginia Supreme Court. A motion to strike out all the evidence of the adverse party is very far-reaching and should never be entertained where it does not plainly appear that the trial court would be compelled to set aside any verdict for the party whose evidence it is sought to strike out. Green v. Smith, 153 Va. 675, 679 (1930). Rule 1:11. Striking the Evidence. If the court sustains a motion to strike the evidence of either party in a civil case being tried before a jury, or the evidence of the Commonwealth in a criminal case being so tried [jury trial], then the court shall enter summary judgment or partial summary judgment in conformity with its ruling on the motion to strike. If the court overrules a motion to strike the evidence and there is a hung jury, the moving party may renew the motion immediately after the discharge of the jury, and, if the court is of opinion that it erred in denying the motion, it shall enter summary judgment or partial summary judgment in conformity with its ruling on the motion to strike. Any party may make a motion for summary judgment at any time after the parties are at issue, except in an action for divorce or for annulment of marriage. If it appears from the pleadings, the orders, if any, made at a pretrial conference, the admissions, if any, in the proceedings, or, upon sustaining a motion to strike the evidence, that the moving party is entitled to judgment, the court shall enter judgment in that party's favor. Summary judgment, interlocutory in nature, may be entered as to the undisputed portion of a contested claim or on the issue of liability alone although there is a genuine issue as to the amount of damages. Summary judgment shall not be entered if any material fact is genuinely in dispute. No motion for summary judgment or to strike the evidence shall be sustained when based in whole or in part upon any discovery depositions under Rule 4:5, unless all parties to the action shall agree that such deposition may be so used. Under Green's standard, the judge can only strike the evidence if it is so flawed that he would have to overturn a jury verdict of guilty. Thus, the the determination is the equivalent of a directed acquittal. 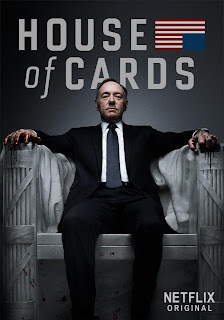 Years back, I watched the British show "House of Cards" and I was impressed. Now I have watched the first season of the US version and I'm even more impressed. You have to have Netflix to watch it and if you don't you should pony up a one month $8 subscription to watch it (you can cancel immediately after you are done). There are 13 episodes in season 1 and, God willing, enough of you out there will watch it so that Netflix will see the series to its end (probably three seasons like the British version). In some ways, the American version follows the British version. For instance, in both the main character (British: Francis Urquhart / American: Francis Underwood) is the majority whip and, after helping someone else get elected to the highest office in the country, expects to be placed in major position in the cabinet. Instead, they are both betrayed by the person they helped get elected and this becomes the major motive for everything they do thereafter. As well, both manipulate a young female reporter by seducing her (with the full knowledge of their wives). There are major differences as well. In the American version we see much more of the wife's life than I remember from the British and yet, I get the feeling that the American wife is much more out of the loop than the wife in the British version. The American has a lobbyist play a prominent role. Of course, the actual political positions and organization of the governments are very different; obviously, the British Francis would never be involved in running someone for governor. And, it was clear from the beginning that the British Francis was evil. The American Francis? You'll have to watch to figure that out. Things that impressed me: (1) Francis Underwood is a Democrat. I admit that I was surprised by this. Urquhart was a Conservative and I figured this, combined with the normal proclivities of Hollywood and the current composition of the House, would mean that Underwood would be a Republican. Of course, Underwood does have to be the same party as the President, but since they clearly went out of their way to make the President in the show not the current occupant of the office they could have filled the position with a Republican. All-in-all, it is something of a bold choice that Underwood is a Democrat. (2) They do an excellent job of breaking the fourth wall. It helps you see into the thoughts of Underwood without causing the story to break stride. (3) This is incredibly well acted by all involved, particularly by Kevin Spacey as Underwood. (4) It's a very rich world in which layer upon layer of depth is uncovered as schemes and counter-schemes interact. (5) With the exception of one glitch (see infra), this is amazingly well written. It's hard not to just keep watching until you get to the end of all 13 episodes and when they were over I wanted more (never fear season 2 has already been ordered by Netflix). I tried to limit myself to two episodes a day, but I must admit that I spent a good portion of Sunday watching the last five. Things that annoyed me: (1) They made Underwood a Southerner - from a State where (in the real world) all the representatives save one are Republicans. You'll note that no one else in the entire show speaks with a southern accent. It's an annoying reliance on the corrupt/evil Southern politician trope and I admit to being disappointed by its use. It would have been better if they'd made Underwood from Illinois or Maine or Oregon and thus avoided the stereotype. (2) Apple, Apple, and more Apple. I don't know how much Apple paid for product placement, but WOW. I don't think the show ever goes fifteen minutes without an iPhone or iPad or Mac or Macbook Air being on the screen - with the Apple symbol prominently displayed. Every congressional office has Macs in frame on the desks of staffers and the congressman. By halfway through the season, I was waiting for the bum on the street to pull out an old orange iBook out. Nobody in this world has even heard of Linovo or Samsung, although Blackberry does shoehorn its way in by the end. These first two are just annoyances, but there one time when the show goes off the rails. Underwood goes back to the Military Academy he graduated from and spends the night drunk with his best friends from back in the day. (3) In the midst of the drunken stupidity, there's a scene where he and his best buddy from back in the day talk about their homosexual flirtations/relations when they were at school together. I just about wanted to scream and throw something at the screen. The scene felt incredibly forced and out of place. It also felt like the writers sat around (having never served) and thought "Hmmmm. What would be the natural outgrowth of the closeness of the bond that forms between young men under military discipline? Why, it must be homosexuality!" Worst of all, it did absolutely nothing to further the plot. It may get tangled in during future seasons, but it had the distinct feeling of a unique moment meant to stand alone. If it is tangled in later it will probably be because of people like me saying "WTF?" and the writers feeling like they have to justify that scene. Hopefully, they'll go the opposite direction and just leave that scene where it died. Overall: This is the best thing I've watched in a long time. When Netflix started doing its own original programming most people got excited about the restart of Arrested Development. As for me, I waited with baited breath for this and I have not been disappointed. Now I'm waiting with just as much anticipation for the next season to get here. 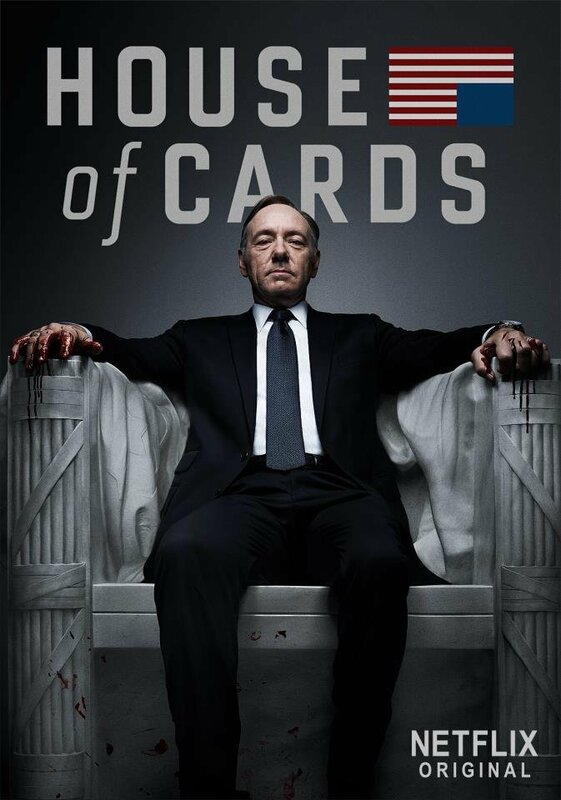 BTW: Unlike the British version, the second season will still be House of Cards. There are a some reasons for this. First, Underwood is nowhere near his final goal yet. Second, the American series is providing a much more in depth look at how all things are happening - primarily by paying more attention to secondary characters. Third, there is no monarchy against which the American Francis can stand in antithesis. Thus, you can't really do To Play the King as an American show. There are some days I am just embarrassed by American television. I don't mean the purposefully stupid stuff like "reality" TV. I mean the news. 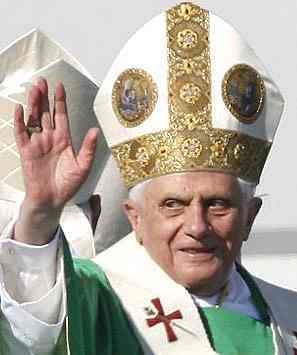 This morning I was getting dressed when a buddy texted me that the Pope was giving up the Holy See. I flip on the TV and go to news channels. NOTHING. MSNBC is accusing some senator of wanting to kill kids with machine guns. Fox is accusing some accusing some representative of wanting to kill every child yet to be born. Not a single word is being spoken about the Pope. Next, I try EWTN, the Catholic Channel. Surely it will have switched from its normal fare of impressive masses and substandard programming for something this important. Nope. Some guy is standing in front of a green screen, putting on a show I could probably do in my living room. Where do I finally find the news? The BBC. Thank goodness for the BBC. Everyone else can go on babbling about useless, meaningless stupidity and label it news, but no one seems to have told the BBC that actually doing news on news shows isn't in vogue anymore. I watched a solid hour of well reported stories on what is happening, why Pope Benedict XVI is stepping down, and putting it in historical perspective. Then, as the day went on, I kept checking the news on Flipboard (where I follow several news sites) and the BBC was doing a thorough job of analyzing the situation and covering the reactions around the world. Everybody else? Maybe one or two stories. Maybe. I've been a fan of the BBC ever since I was waiting in a tent for the Desert Storm to kick off. I had the most expensive short wave radio that the PX sold in my ruck sack and I spent hours chasing down English language newscasts from around the world. In the end, while it was fun to listen to broadcasts from Japan and Germany and Finland and the Vatican, the only worthwhile channel to listen to was the BBC. Heck, most of the time the BBC would tell us more about what was happening than the official briefs that came down from the chain of command. I am here to tell you that if you play the Greenwich time signal you will still get my attention every time. Anyway, thank you BBC and bravo for your sustained ability to actually cover the news. Somebody's got to because it's pretty clear our Yankee news channels won't. Okay, I get the reason for the thirty days, but why exactly did he bump the bond amount from $5,000 to $10,000?